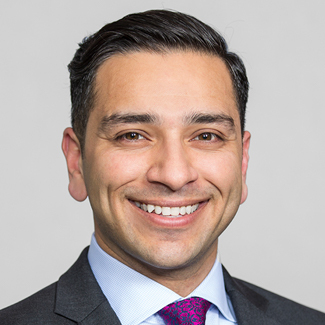 DALLAS, TX – (February 17, 2017) – Civitas Capital Group is pleased to announce the promotion of Najam Syed to Director, Asset Management along with the hiring of two senior leaders in its investment team, David Lee and Tillie Borchers. Najam Syed was promoted to Director, Asset Management. He is responsible for managing project and investment performance across all divisions of the company, as well as investor reporting. Mr. Syed joined Civitas in 2012. He has led the asset management group since its formation, developing and improving processes and establishing a highly effective operation. In his new position, Mr. Syed will play a central role in the company’s continued success. Mr. Syed holds a Master in Real Estate from New York University, a B.S. in Finance from Old Westbury College, and a B.A. in Political Science from Stony Brook University. David Lee joined Civitas as Director, Investments. He is responsible for originating and underwriting investments, as well as working with institutional investors and senior lenders on various capital raising activities. Prior to joining Civitas, Mr. Lee held senior positions at CIT Group and Aareal Capital Corporation where he helped originate and structure commercial real estate debt investments ranging from $25 million to $240 million in deal size. Tillie Borchers joined Civitas as Director, Investments. She is responsible for originating and underwriting investments for the GrowSouth Fund and other Civitas managed funds. Prior to joining Civitas, Ms. Borchers was a Senior Vice President at Bank of the Ozarks, where she managed a portfolio of construction and land development loans secured by over $2 billion in commercial real estate. Ms. Borchers received her Bachelors in Finance from University of Florida with a Certificate in Latin American Studies and holds a Master of Business Administration from Columbia Business School. The Civitas Capital Group family of companies provides compelling EB-5 capital and alternative investment strategies to institutional investors, family offices and qualified individuals. Civitas has helped investors and institutions from more than 30 countries around the world invest in the United States.